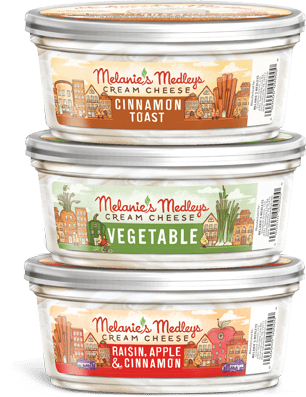 If you’re looking for a better option for breakfast (other than your boring old cereal and milk) you’ll want to keep reading… Melanie’s Medleys is bringing balance back to breakfast with their new line of artisan grain breakfast bowls and deliciously handcrafted cream cheeses. They strive to make life on the go can be both tasty and wholesome. It’s not always easy, there are those times when you feel divided between the desire to eat wholesome food and the demands of a busy day. Melanie’s Medleys offers foods that artfully balance well being, convenience and great taste. Starting off your day with a great breakfast will have you feeling ready to conquer your day feeling refreshed, confident and in control! Melanie is seriously passionate about food and believes that life is as much about adventure as it is an expression of love. She created Melanie’s Medleys to share her passion of food with others and to make it easy to eat well amidst a busy lifestyle. Melanie’s Medleys Artisan Grain Blends: Made with fresh non-GMO ingredients, Melanie’s Medleys’ ready-to-eat breakfast bowls are made with whole artisan grains, fruit, nuts, and other quality ingredients. They come in 6 different flavors. These Breakfast Bowls are blended in small batches with artisan grains like quinoa, farro, freekeh and pearled barley. With a base of fresh coconut milk, almond milk, or sweetened apple most bowls are vegan. We loved heating up our bowls in the morning for a hearty breakfast very similar to oatmeal. 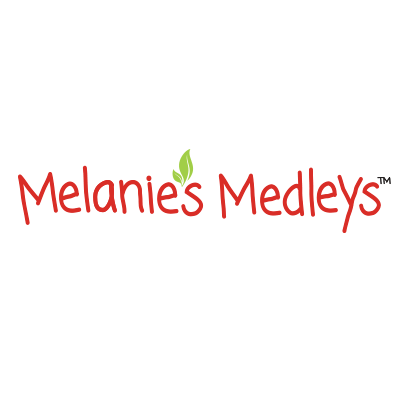 Melanie’s Medleys products can be found at Wegman’s and Whole Foods supermarket locations throughout PA and NJ. Melanie’s pure, clean label cream cheese spreads are handcrafted and blended daily in small batches ( without the use of mechanical separation like traditional cultured cream cheese) for smoother texture, better protein retention, and more delicious flavor. In addition to the most in-demand varieties, they offer a variety of seasonal flavors like Pumpkin Pie and Cranberry. They also love to whip up special edition varieties like our new Salted Caramel and Cinnamon Toast. Click here for a coupon!